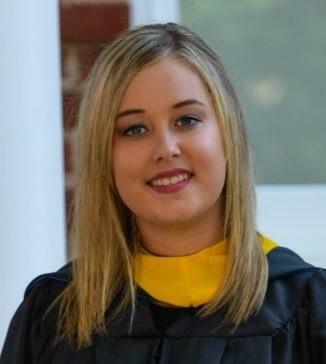 A Park View High School graduate, Chelsey Tanner began her college journey through Southside Virginia Community College's dual-enrollment program. Chelsey says this allowed her to prepare for a four-year university and acclimate to college courses. After earning her Associate of Arts and Sciences in General Studies from SVCC, Chesley transferred to and graduated from Longwood University with a Bachelor of Science in Communication Sciences and Disorders. In May 2019, she will graduate with a Master of Science in Communication Sciences and Disorders. Upon her graduation from Longwood University, she looks forward to gaining experience working as a speech-language pathologist with individuals who experience communication and swallowing disorders. Once she has gained work experience in the field, Chelsey plans to return to school to complete a doctoral degree in speech-language pathology. Chelsey credits SVCC, "It definitely prepared me for my college course load once I arrived to Longwood and it helped me graduate a year early from my undergraduate program." Learn more about SVCC's General Studies Program here.